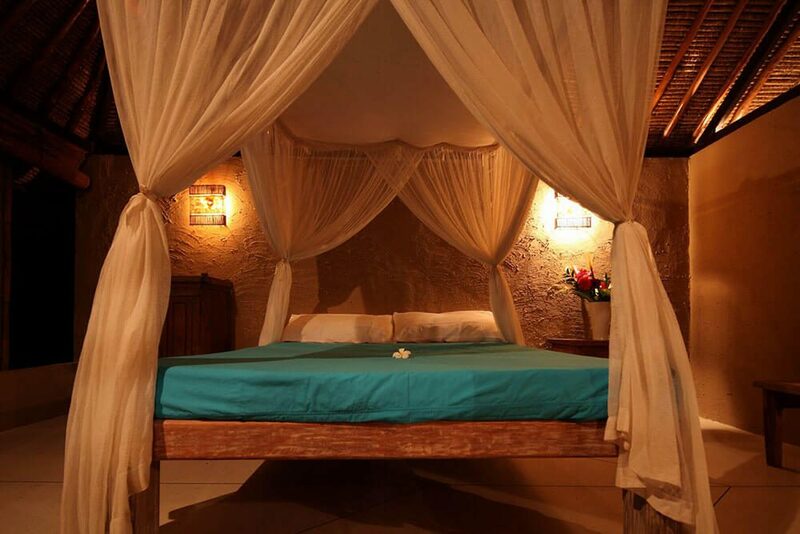 The Secret Garden offers privacy and serenity just a stones throw to Bali’s best surf beaches. 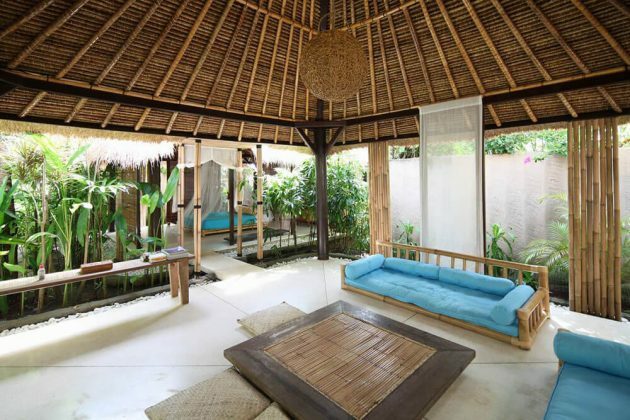 This unique Bali garden retreat is an affordable option for families, couples and small groups seeking the privacy of their own self-contained Bali bungalow. Surf Guide (inc car, petrol, guide) that will take you to the best surf spots each day, surf with you at each break showing you where to take off and where to paddle out and in etc. You can surf up to 3 sessions a day anytime between 7.00am and 7.00pm each day. If guests don’t surf or want to go sightseeing or shopping the guide will take them where ever they want to go and can use the car for up to 8hrs a day. If guests want to go out very early or late (before 7.00am or after 7.00pm) there will be an additional charge depending on the time. Surfboard Rental is AUD$12 per board per day. 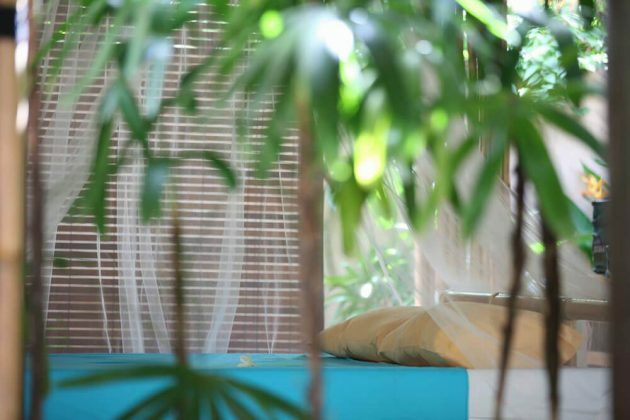 Bunga means flower in Indonesian, and this Bali bungalow sleeps two guests amongst your own private Balinese garden filled with tropical flowers and greenery. 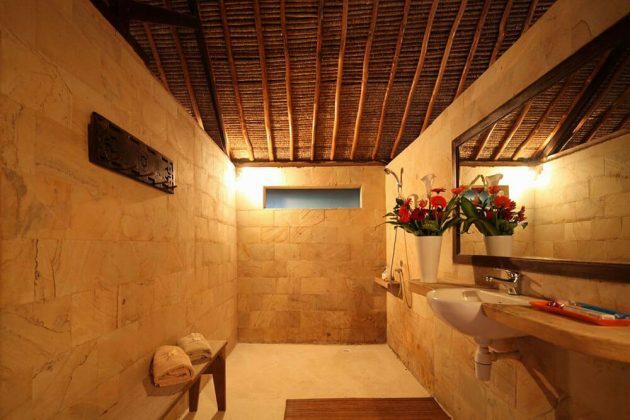 Surrounded by a six-foot wall, once inside you’ll discover an open-sided Bali bungalow containing a bed, bathroom and lounge area. Taman means garden in Indonesian. 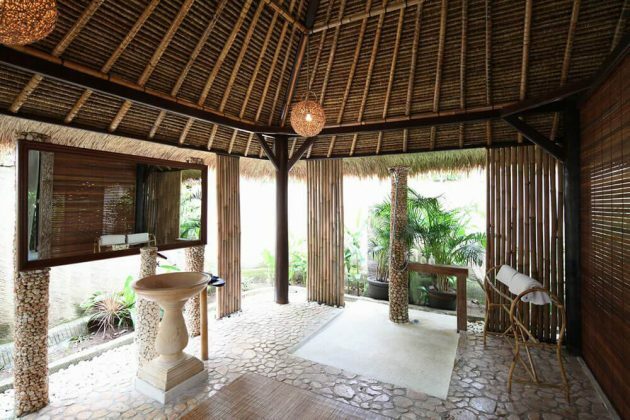 This Bali garden pavilion sleeps four to six and consists of 2 separate open-sided bungalows with cold-water bathrooms within a large secluded walled garden. The bungalows have blinds for additional privacy, and share a large lounge area. These services can be arranged for a small additional charge. Secret Garden staff will assist. CHECK IN: 2pm on day of arrival. CHECK OUT: 12 noon on day of departure. The Secret Garden was our first stop on our Bali trip and I couldn't think of a better place to begin. We had a magnificent time. Nestled amongst other retreats and holiday stay options, the Zen style architecture blended in with the natural environment is charming. 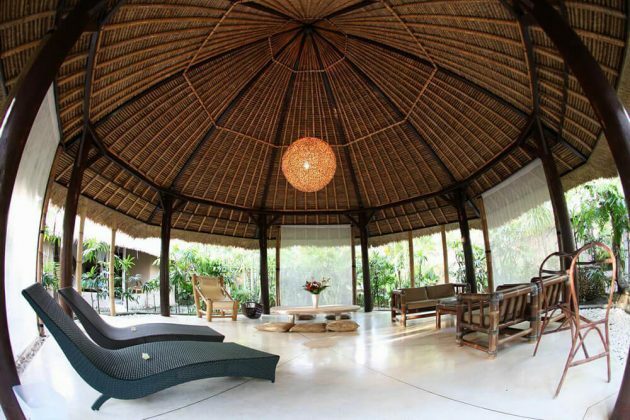 This is a unique and delightful place to stay, very relaxing and peaceful. I could recommend it to anyone that enjoys being amongst the elements but still protected from the environment. Great if you want complete privacy, away from the hustle and bustle.